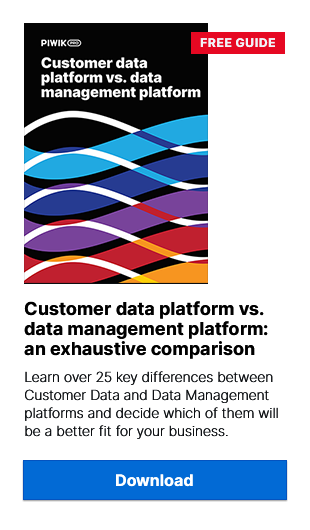 A Data Management Platform (DMP) wouldn’t be much without audience segmentation. In fact it wouldn’t be able to help marketers and advertisers much at all. The same goes for the data you want to use for your marketing efforts – without breaking it up into actionable pieces, you won’t accomplish much. But not all segments are created equal, nor can they be used in the same ways. Depending on whether the audience segments are meant to be kept in-house or sold in a marketplace, used for a one-time marketing campaign or a constant product offer, a DMP user may want to use a “live” or a “fixed” audience segment. What is a “fixed” segment? In order to understand building segmentation in a DMP, we should first consider a “fixed” segment. When the DMP user decides to create an audience segment, he or she selects the conditions desired to break down the data – pages viewed, geolocation, demographics, previous conversion, etc. Recency: What time span should be considered? The last week, last month, last 14 days? After selecting the conditions and defining frequency and recency related to each one, the DMP will return a strictly defined segment that includes a fixed number of audience members. Sold (as is often the case) to a buyer to who is interested in targeting that particular group of internet users. A fixed audience segment is exported to a DSP or sold to an interested advertiser. When is a “fixed” segment most useful? One main advantage of a fixed segment is that, as mentioned above, it can be easily traded or sold. Because the “size of the packet” is fixed, it is possible to set a fixed price for it. In addition, a fixed segment is useful for certain types of marketing campaigns, in particular when targeting a specific group for a time-fixed occasion. A sport team who wants to target sport fans with discounted tickets for an upcoming big match. They might buy an audience segment from a news outlet that includes visitors who had previously purchased a ticket for a similar event. A large department store who wants to drive visitors to an in-store sale. They form an audience segment of all visitors who have made a purchase through their online portal in the last two weeks. Whereas a “fixed segment” is defined by historical data and has the advantage of being easily transferred and sold, a “live segment” is more dynamic and is valuable in different ways. With a live segment, a marketer or advertiser sets the conditions of his or her audience segment just like when forming a fixed segment. Data does not stop being collected and added to the segment at the moment when the segment is defined or first activated (e.g. via an export to a DSP). In other words, the size of the live segment is not limited by the recency setting. As the “rolling window” defined in the segment’s settings moves forward, the number of audience members may increase or decrease. an audience was defined to include visitors who had carried out an action 3 or more times, the number of audience members would grow with time. an audience was defined to include visitors who had carried out an action 3 times or less, the number of audience members would decrease with time. For one thing, live segments are much harder to share or sell, because their size changes and therefore their value changes as well. They are, however, quite useful for certain use cases. How can ‘live’ segments help your advertising & marketing? Let’s say you are news outlet publisher who wants to use a DMP to monetize data about your site visitors when selling ad inventory. You may define an audience segment to include male visitors who have viewed the sports section of your site more than 3 times in the last seven days. Using this data could potentially help make the ad inventory on your sports page more valuable to an advertiser who wants to sell sporting event tickets. With a normal audience segment you will be able to capture a picture of a certain number of your visitors – and you could find a advertiser willing to pay a premium price for ad slots on your page. But this data would be even more valuable if every time a visitor passed the “three-visit threshold” he was added to the audience. Thus, a publisher could sync his or her audience data to an ad exchange for sale, say two weeks before the event and command a certain price for the inventory. But then, without changing the settings of the audience segment in the DMP, the publisher could activate the data again, knowing that the audience now includes more members who have visited the site recently, (and fewer of those whose visits were 7 days ago or longer). Now let’s assume you are a travel agency that would like to increase its target audience across multiple digital channels. Your highest-value audience is one whose members have visited the Skyscanner home page more than twice in the last 7 days. You would like to target them with display ads advertising your latest travel packages. To make this work, you will want your campaign to automatically remove members as soon as they have seen the ad three times or completed a purchase. This will keep your campaign targeted to the right people and make sure you don’t keep bombarding them with ads even after they have converted. It can also keep your costs down and reduce the likelihood that someone will block your ads with an ad blocker. Both live and fixed segments have their uses. In the past many advertisers relied on 3rd party audience segments they bought from external data vendors to fuel their campaigns. Now there is a bigger push to activate 1st party data (which a data management stack user would collect personally) since it provides the highest ROI and keeps data processors compliant with data privacy laws. For this reason, fixed segments may eventually become less valuable as there is less buying and selling of audience data, and more of a push to activate data dynamically.